7mm SAUM built on a fully blueprinted long action Rem 700. 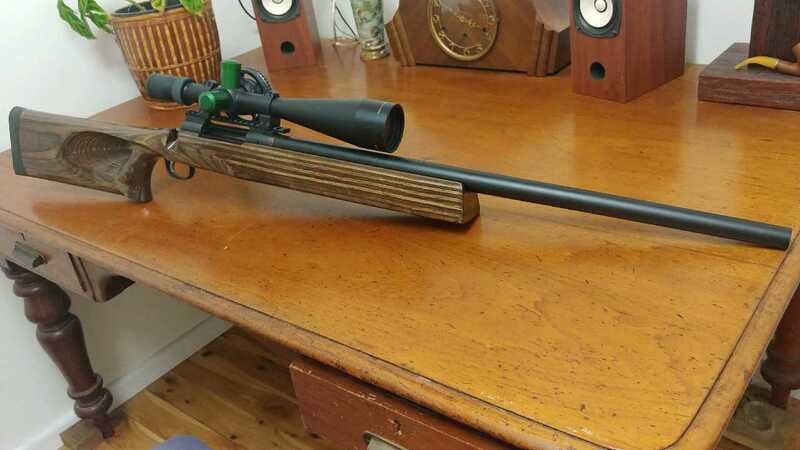 Action blueprinted by Jerome Zeirsch, 1:9 28" trueflite barrel fitted by Keith Hills. The barrel is on its second chamber after being a 284 Ackley for 500 rounds. It had 3" removed from the chamber end before fitting. Has fired 5 rounds only since chambering. I have brass and dies that can go with it for the right price. Not in a hurry to sell, just haven't had the time to shoot the thing, so it may as well go to someone who has.